Reporting Crashes in IMVU: Who threw that C++ exception? It’s not often that I get to write about recent work. Most of the techniques in this series were implemented at IMVU years ago. A few weeks ago, however, a common C++ exception (tr1::bad_weak_ptr) starting intermittently causing crashes in the wild. This exception can be thrown in a variety of circumstances, so we had no clue which code was problematic. We could have modified tr1::bad_weak_ptr so its constructor fetched a CallStack and returned it from tr1::bad_weak_ptr::what(), but fetching a CallStack is not terribly cheap, especially in such a frequently-thrown-and-caught exception. Ideally, we’d only grab a stack after we’ve determined it’s a crash (in the top-level crash handler). // we'll catch the exception soon. // Oh no! fallback_algorithm() failed. // Grab a stack trace now. Almost! Unfortunately, the call stack generated in the catch clause doesn’t contain fallback_algorithm. It starts with main_function, because the stack has already been unwound by the time the catch clause runs. We can use the ebp register, which points to the current stack frame, to walk and record the current call stack. [ebp+4] is the caller’s address, [[ebp]+4] is the caller’s caller, [[[ebp]]+4] is the caller’s caller’s caller, and so on. What can we do with this information? Slava Oks at Microsoft gives the clues we need. When you type throw MyException(), a temporary MyException object is constructed at the bottom of the stack and passed into the catch clause by reference or by value (as a copy deeper on the stack). Before the catch clause runs, objects on the stack between the thrower and the catcher are destructed, and ebp is pointed at the catcher’s stack frame (so the catch clause can access parameters and local variables). Notice that, every time an exception is caught the linked list of stack frames is truncated. When an exception is caught, ebp is reset to the stack frame of the catcher, destroying our link to the thrower’s stack. where p might be a frame pointer. Or you can just use our implementation. // grab a stack trace - including thrower! Now we’ll have no problems finding the source of C++ exceptions! Author Chad AustinPosted on April 19, 2009 Tags c++, crashes, imvu, x867 Comments on Reporting Crashes in IMVU: Who threw that C++ exception? The obvious solution is to join the fray, calling SetUnhandledExceptionFilter every frame, right? How about we try something a bit more reliable… I hate implementing solutions that have obvious flaws. Thus, we chose to disable (with code modification) the SetUnhandledExceptionFilter function immediately after installing our own handler. When Direct3D and Flash try to call it, their requests will be ignored, leaving our exception handler installed. // If this doesn't make sense, skip the code and come back! If that’s obvious to you, then great: We’re hiring! Also five bytes! How convenient! Before we replace the prologue, we verify that the first five bytes match our expectations. (If not, we can’t feel comfortable about the effects of the code replacement.) The VirtualProtect and FlushInstructionCache calls are standard fare for code modification. Finally, our last-chance exception reporting actually works! of code to walk a call stack. the stack and then jumps to the target function. not know where to return when it was done. stack, we can generate a symbolic stack trace. How do we read the instruction pointers up the call stack? to use the EBP register as the “current stack frame”. at [EBP+4] and the previous stack frame is at [EBP]. the call stack, all the way to the top! // Convert the array of addresses to names with the aforementioned MAP file. grab accurate function names from every version of your software. introduction to modern x86 (sometimes called IA32) assembly language. (sometimes called x64) just isn’t as popular as x86 yet, so this seems safe. oddest of them all, I’ll show you that it can be easy to read and write. them for very long, as they ar soon needed for other purposes. access than registers, but there’s a lot of it. the result back in eax. (BTW, this is one of the oddities of x86. from memory to a register, or from a register to memory. cmp ecx, 0 ; is ecx 0? can be invaluable when debugging. diagnosed with RSI), so I think this will be a light one. in parallel.” Now I’m going to teach you how to count cycles in the presence of latency and parallelism. costs: dependency chain latency and reciprocal throughput. instructions/cycle, so reciprocal throughput is cycles/instruction. processors are working really hard to exploit parallelism in our code. processor, let’s say the reciprocal throughput of addss is 1 cycle. depends on the previous, each addition costs 4 cycles. the maximum addition rate of one per cycle. * BTW, it’s sort of unrelated, but I couldn’t help but link this article. vs. MIMD here. Ignore the terminology blathering and focus on the history of and influences on SIMD and MIMD over time. Superscalar basically means “greater than 1”, implying that a superscalar processor can run code faster than its clock speed would suggest. Indeed, a 3 GHz Pentium 4 can retire 4 independent integer additions per clock cycle, which is 12 billion integer additions per second! Now, the processor knows that all of those memory fetches are independent, so it runs them in parallel. Then, it runs the ANDs in parallel too, since they’re independent. Your 600-cycle check just became 200 cycles. Similarly, let’s say you want to add 10,000 numbers. And that’s what an out-of-order, superscalar processor can do for you! I had dramatically underestimated the value of #3, so this entry is an attempt to give a concrete example of how inlining can help. As alluded in my previous entry, you can’t just leave the floating point state willy nilly across function calls. Every function should be able to make full use of the floating point register stack, which doesn’t work if somebody has left stale values on it. In general, these rules are called calling conventions. Agner Fog has excellent coverage of the topic, as usual. fstp [sum] ; why the load and the store?? First of all, why all of the function calls? Shouldn't std::vector be inlined? But more importantly, why does the compiler keep spilling sum out to the stack? Surely it could keep the sum in a floating point register for the entire calculation. This is when I realized: due to the calling convention requirements on function calls, the floating point stack must be empty upon entry into the function. The stack is in L1 cache, but still, that's three cycles per access, plus a bunch of pointless load and store uops. This is the real benefit of inlining. Modern compilers are awesome at making nearly-optimal use of the CPU, but only when they have enough information. Inlining functions gives them that information. p.s. I apologize if my pseudo-assembly had mistakes. I wrote it from memory. The other day Timothy and I were optimizing some floating-point-intensive lighting code. Looking at the generated code, I realized we weren’t compiling with /fp:fast. Due to the wonky state of floating point on 32-bit x86, Visual C++ frequently stores temporary results of floating point calculations to the stack and then reloads them, for the sake of consistent results. … the temporary results are always stored in ST0 with 80 bits of precision. However, since floats only have 32 bits of precision, you can wind up with different results depending on compilers, optimization settings, register allocation, etc. We often had problems like this at VRAC. Some poor engineering student would send out a panicked e-mail at 9:00 p.m. asking why his program started producing different results in release mode than it did in debug mode. Tiny differences in precision don’t matter in IMVU, so enabling /fp:fast saved 50-100 CPU cycles per vertex in our vertex lighting loop. However, with this option turned on, our automated tests started failing with crazy #IND and #QNAN errors! After some investigation, we discovered that our 4×4 matrix inversion routine (which calculates several 2×2 and 3×3 determinants) was using all 8 floating point registers with /fp:fast enabled. The x87 registers are stored in a “stack“, where ST0 is the top of the stack and STi is the i’th entry. Load operations like fld, fld1, and fldz push entries on the stack. 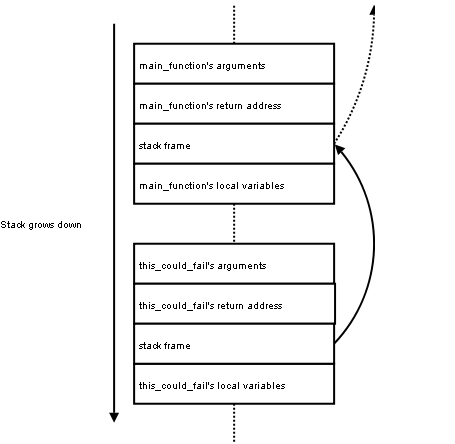 Arithmetic operations like fadd and fmul operate on the top of the stack with the value in memory, storing the result back on the stack. fldz  ; ST0 = IND! Woops, there’s a bug in your code! You shouldn’t overflow the x87 register stack, so the processor has given you IND. Indeed, this is what happened in our matrix inversion routine. But why? Using a debugger, we determined that the x87 stack contained one value at the start of the function. Moreover, it contained a value at the start of the test! Something was fishy. Somebody was leaving the x87 stack dirty, and we needed to find out who. The previous function, called before and after every test, discovered the culprit: we had a test that intentionally called printf() and frexp() with NaN values, which had the side effect of leaving the floating point stack in an unpredictable state. Adding __asm emms to the end of the test fixed our problem: thereafter, /fp:fast worked wonderfully. Case closed.